A mural commemorates the date of the massacre. 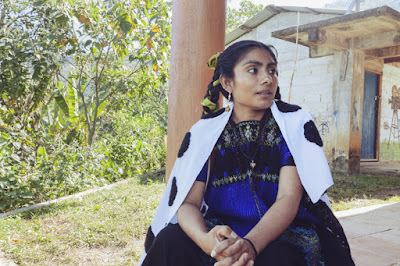 Lupita Vasquez woke up on the morning of Dec. 22, 1997, from a good night’s sleep in the hilltop village of Acteal, perched high in the western Hueytepec range in the southern Mexican state of Chiapas. The early morning fog had filled the surrounding valleys and gorges like a moat. 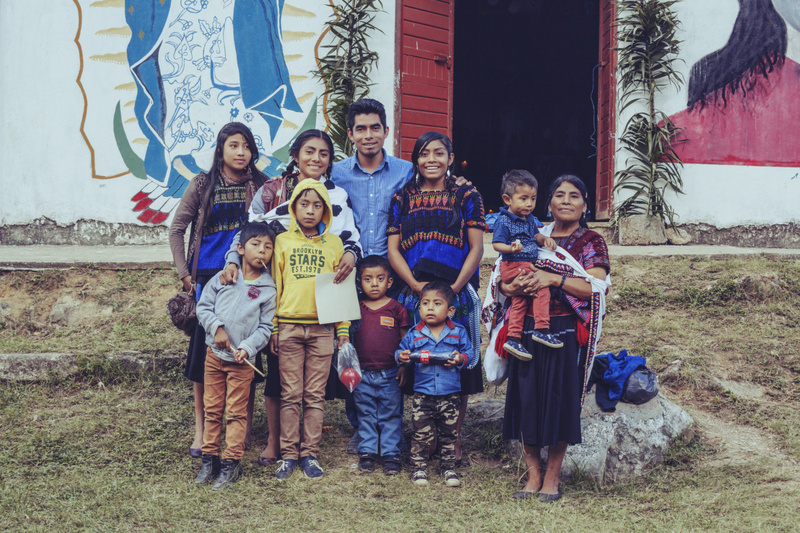 Forgoing breakfast—it was the family’s custom to fast before prayer—Lupita, 10, and her nine siblings dressed for church and followed their mother toward the hillside chapel where their father, Alonso Vasquez, the village priest, gave his morning Mass. Over 300 people from Acteal and the surrounding hamlets—many of them displaced by paramilitary groups who had swept through the surrounding region in the previous months—had gathered to listen to Alonso’s sermon. He raised his hands and voice so everyone could hear. That’s when the shooting began. Over the next several hours, paramilitary forces slaughtered 45 people—21 women (four of them pregnant), nine men, 15 children—including more than half of Lupita’s family. From that day on, the child who had still not entered her teens had to become a woman, tasked with the immense responsibility of keeping her community’s memory alive. As violence continues today in Los Altos, often following disturbingly familiar patterns, it is also Lupita’s role to remind Mexico, and the world, what has happened here before. As recently as last fall, 6,000 people were displaced from the villages of Chenalhó (the local municipal seat, about an hour’s drive from Acteal) and Chalchihuitán, roughly the same number that was displaced from the communities surrounding Acteal in the months before the massacre 20 years before. Though they wear different guises, the actors—shadowy paramilitary forces aligned either directly or tacitly with state and federal government—remain the same. The struggle for land rights is as urgent today as ever. Lupita Vazquez was 10 years old when 45 people in her village were slaughtered by paramilitary forces. Now 30, Lupita’s smile is luminous, sincere, youthful; her eyes are expressive and black, the eyes of someone who has, even at such a young age, experienced enough for several lifetimes. She dresses in the traditional clothing of the region—a dark skirt, an embroidered huipil made on a waist loom—and weaves green laths into her long, obsidian braids. When the temperature drops, she throws on a leather jacket. Lupita’s childhood, until she was 10, was peaceful, but the land she grew up in was not. The conflict in Los Altos de Chiapas (the Chiapas Highlands) formally began on Jan. 1, 1994, when thousands of indigenous people, organized under the banner of the Zapatista National Liberation Army (the EZLN, or the Zapatistas), declared war on the neo-liberal policies of the federal government and then-President Carlos Salinas de Gortari. The first public act of the Zapatista movement was the occupation of six cities in Chiapas, including San Cristóbal de las Casas, a beautiful colonial town popular with tourists. The rebels covered their faces with ski masks, blocked the entry points to those cities, and listed their demands: work, land, shelter, food, health, education, independence, freedom, democracy, justice, and peace. Within their villages, the Zapatistas focused on social change, remaking their communities as more equal places, focused, in particular, on creating social and political parity for women. They carried signs that read Perdonen las molestias, esto es una revolución: Pardon the inconvenience, this is a revolution. Relatives of the victims gather to remember the dead, carrying crosses marked with their names and ages on the day they died. By 1995, the central government had launched a brutal counterinsurgency campaign, escalating a political and social rebellion to full guerilla warfare. The war between the EZLN and Mexico’s federal government officially lasted just 11 days before the rebels decided to suspend armed combat and enter into a dialogue with the state. In February 1996, the Zapatista army and the federal government signed the San Andrés Accords, the first and only document ever signed between the government and the rebels, agreeing to, among other things, preservation of natural resources in indigenous land and a higher degree of self-determination in public expenditures and infrastructure plans. The government has never taken seriously the commitments made in the Accords. Two years after signing them, paramilitaries stormed into Acteal. The village’s first encounters with violence followed an internal land dispute that began in early 1992 when a man in a nearby community refused to recognize his sisters’ right to inherit land from their father. That dispute devolved quickly into violence, with the man shooting the nephews who had laid claim to the land, and denouncing five leftist activists, including several local priests, as the instigators of the dispute. 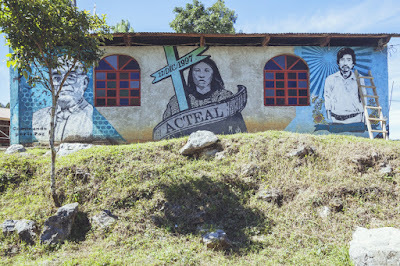 When those leaders were imprisoned, a group of 400 men and women from the Tzotzil ethnic group, including many from Acteal, joined forces and launched a protest movement that eventually prevailed over the arbitrary detentions. Emboldened by their success, they formalized their movement in December 1992 under the name Las Abejas, or the Bees. Heavily influenced by the leftist branch of Catholicism known globally as liberation theology, Las Abejas saw echoes of their own cause—rights to ancestral lands and resources, equality among men and women—in the Zapatista movement. But as the EZLN took up arms in a guerrilla war against the government, Las Abejas declared themselves pacifists. They identified with the demands of the EZLN but objected to its tactics. 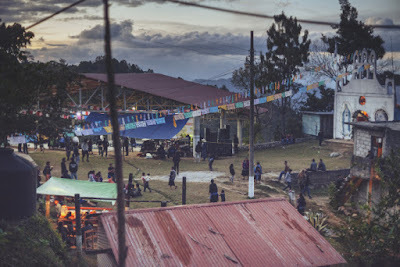 In the months leading up to the massacre, paramilitary groups comprised mostly of indigenous people trained by the military displaced some 6,000 people in the hills surrounding Acteal between May and December 1997. Many sought refuge under Las Abejas. That December morning, Acteal’s neutrality came to an abrupt end. As the guns fired, Lupita fled; she didn’t stop running and didn’t stop crying. The others who had escaped scolded her and told her that if she didn’t stop sobbing, the soldiers would find them. She contained her tears and kept walking until she came across her brother, Juan, who’d been playing at some distance from the village when the gunfire began. She told her brother that the rest of the family had died; she felt dead herself. On the morning of the massacre, Lupita’s father gave his final sermon outside the small chapel at the center of town. Hours later they came across a group of women from a Zapatista camp several miles away from Acteal. 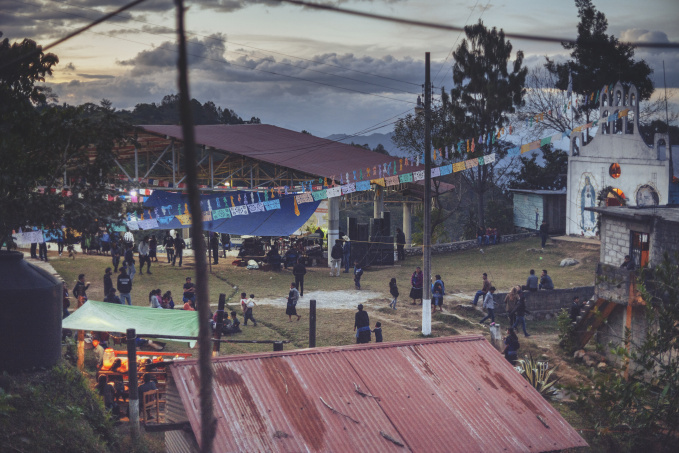 As the night progressed, Zapatista fighters who’d gone up to Acteal to investigate returned to the camp. “When I saw the Zapatistas, I ran to ask them if they knew whether anyone else from my family had survived,” Lupita recalls, but the information they returned with was muddled. Some said her whole family had died, others that her mother and older sisters had survived. Neither was true. In the days, weeks, and years since the massacre, Lupita cobbled together the story of what happened that day from the testimonies of survivors—including some of her siblings—and aid workers who entered the village in the immediate aftermath. The shooting began at 11:30 a.m. and continued until 6 p.m. Women were raped, their breasts cut off. One was sodomized with a tree branch. Soldiers slashed open the wombs of four pregnant women, tore out the babies, and batted the tiny corpses back and forth with their machetes—“so the Indians will stop multiplying,” they chanted. The soldiers were themselves Tzotzil, bought for a few pesos and the promise of power. Acteal became a killing field, a message of extermination: If you’re not an allied Indian, you’re a dead Indian. At a Zapatista camp in the village of Polhó, Lupita learned that just four of her nine siblings had survived. Both of her parents died. The bodies laid out under the mountain sun for hours before military and Red Cross paramedics arrived to gather them up and carry them to the state capital of Tuxtla Gutierrez for autopsies. 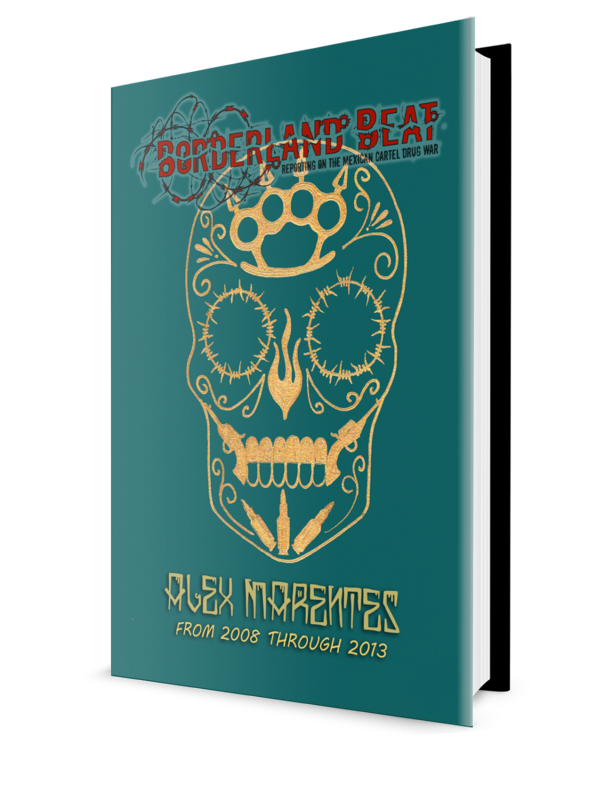 According to survivors, some of whom insisted on remaining with the bodies, the soldiers in charge of transporting the corpses attempted to dispose of them quietly by the roadside; the survivors, EZLN fighters, and representatives of international aid groups stopped them. The autopsies weren’t performed until the following day and weren’t returned to the villagers, now gathered in Polhó, until Dec. 24—already in an advanced state of decay. On Christmas, Bishop Samuel Ruíz, a prominent figure in the struggle for human rights in southern Mexico, gave a Mass on the same basketball court where the bodies of the dead had been laid out the day before. “This is the saddest Christmas of my life,” he said, tears in his eyes. 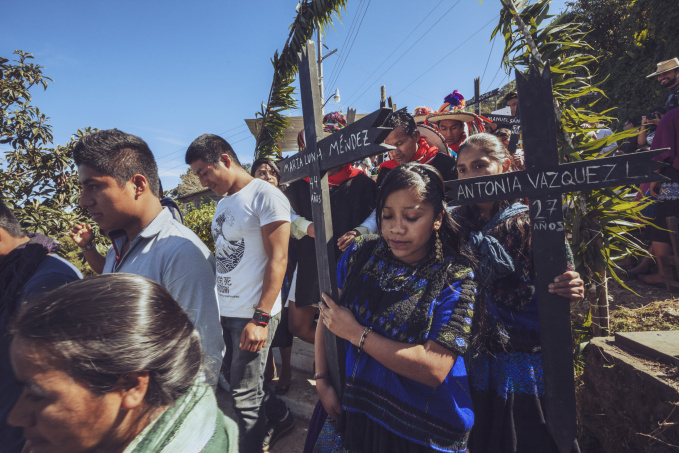 Indigenous rights, including those guaranteed in the San Andrés Accords, continue to be systematically violated in Mexico today, both by the state and by non-state actors working with their tacit permission. The images of masked Zapatista rebels that once flooded the international news have long since faded in the public memory (at least outside Mexico), but the conflict they brought to the world’s attention more than 20 years ago rages on. Where Acteal was widely reported both within and outside Mexico, the recent displacements in Chenalhó—the same municipal district—have gone largely unreported and unnoticed. The violence came to a head in November last year after an Agrarian Tribunal ruled that Chenalhó did, indeed, own the land, a decision that the government did not formally make known until December 13. Why they waited so long is unclear. What is clear is that the intervening weeks saw armed groups from Chenalhó redouble their efforts, ultimately displacing 6,000 people from both towns and killing 11, in an unsettling echo of the months that led up to the Acteal massacre. Watchdog groups that focus on the region worry that the activity of paramilitary groups, the government’s refusal to disarm them, and the continued atmosphere of impunity surrounding criminal activity in the area could lead to another massacre on the scale of Acteal. The images of masked Zapatistas have long faded in the public memory, but the conflict rages on. 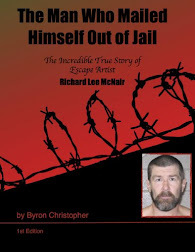 Between 2008 and 2012, 30 people linked to the Acteal massacre were released from prison. The president at the time of the killings, Ernesto Zedillo, moved to the United States shortly after the end of his presidential term in 2000 to become a professor at Yale University. After a 2011 lawsuit filed by ten anonymous plaintiffs claiming to be survivors of the Acteal massacre, the U.S. State Department recommended that Zedillo should receive diplomatic immunity (the suit itself was problematic, originating with plaintiffs whom members of Las Abejas said they knew nothing about). Every year, the people of Acteal relive the horror of what happened that day, recalling the events in vivid detail. Some perform re-enactments. Villagers see the ritual retelling of their story as essential, not only as a way to pay respect to the martyrs who helped bring global visibility to the guerrilla war in Chiapas, but also as a reminder to those who remain in power that the horrors that took place here will not be erased from history. In 2015, Lupita’s brother, Juan, delivered a speech to the Inter-American Commission on Human Rights in Washington, D.C. on the massacre and its impact on the community. Representatives of the Mexican state said they were more than happy to reach a “friendly solution”—a euphemism for a cash payout. It was not the first time that Lupita and her siblings had received such an offer. For Lupita, to accept the offer would mean putting a price on the lives of the dead, on the blood of her parents. What Lupita and Las Abejas seek, in the end, is that the state recognize its role in the massacre by trying those who are materially and intellectually responsible to prevent any such atrocity from taking place again. AddOnly four of Lupita’s nine siblings survived the massacre. Here, Lupita stands with her brothers and sisters, her aunt, and their children. They seek justice in Mexico! You aren't going to find her! They done murdered old Mother Justice a long tie ago and dumped her in an unmarked grave! And I sincerely hope that you also get what you so richly deserve also, very soon. Your ignorance and foul arrogance is a nasty combination. thanks for this report, better late than never. Truly an epidemic of violence has come to age due to implementation of government crackdown to cartels dd. I can see the ramifications of such you state in past comments. And it’s not easing up one bit.